that Changes With Your Business. 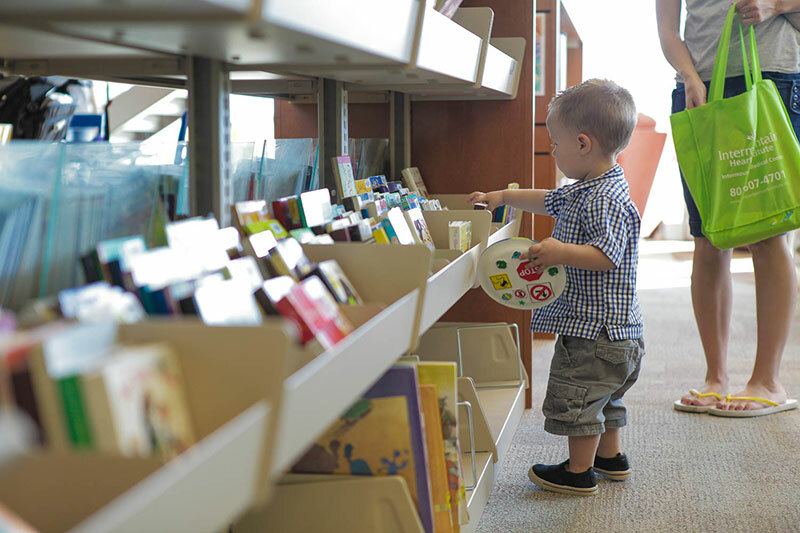 From museums to police departments, libraries to pharmacies, our metal shelving storage systems have been installed in some of the most unique applications and spaces throughout Utah, Idaho, Wyoming, Nevada, and Southern California. Our metal shelving storage units are easy to install, adjust, and expand to fit the needs of today and fluctuating needs of the future. We work in collaboration with Spacesaver to design a variety of metal shelving storage options, depending on the type, weight, and bulk of the stuff you’re storing. Take a look at our metal shelving storage options. A highly attractive and versatile metal shelving storage option that offers adaptable shelves, is cost-effective, and can store virtually anything, case-type and 4-post shelving differs from ordinary metal shelving because it’s made universally slotted—permitting the use of file dividers, bin dividers, and divider rods. 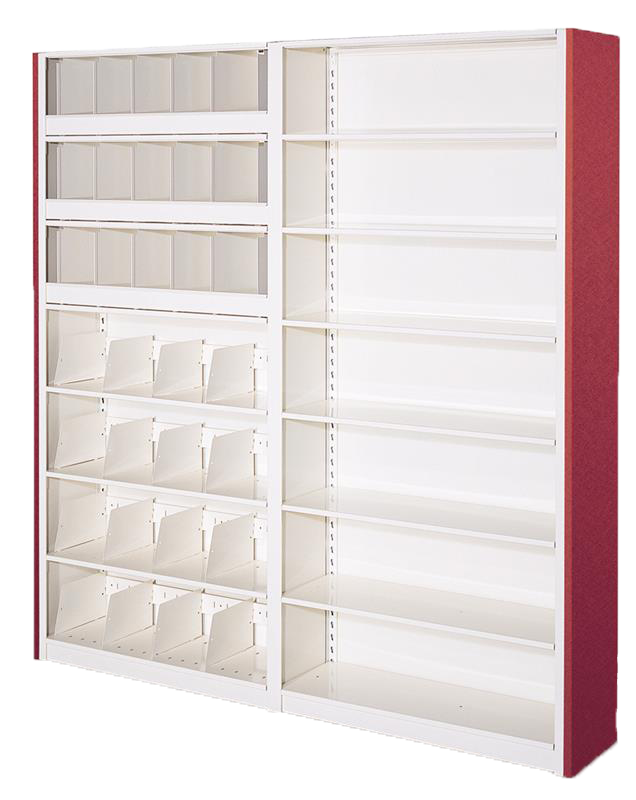 This creates a way to stack boxes, organize files, and store other materials all on the same shelving unit. This shelving also integrates seamlessly with a number of high-density mobile storage options. Door and Drawer Systems: These systems give you the flexibility to select any component today and have the freedom to change, add to, or easily reconfigure later. Door and drawer add-ons include a full-length handle, magnetic door catch, and a 2-point lock that secures the top and bottom of the door. Rolling Door Storage Accessory: Essentially a door for the front of the metal shelving storage unit, this accessory is made of double-walled aluminum doors that roll up and out of sight—but when closed and locked, provide a solid wall to prevent intrusion. 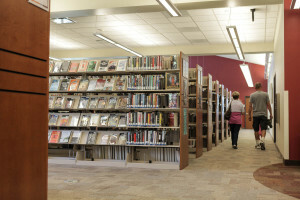 When Uintah County Library constructed a new space that was over double the size of the previous library, the Library’s Program Coordinator and the other staff had one goal in mind—to create a space where the community could be comfortable and access items without difficulty—especially the many children that frequented the library on a daily basis. 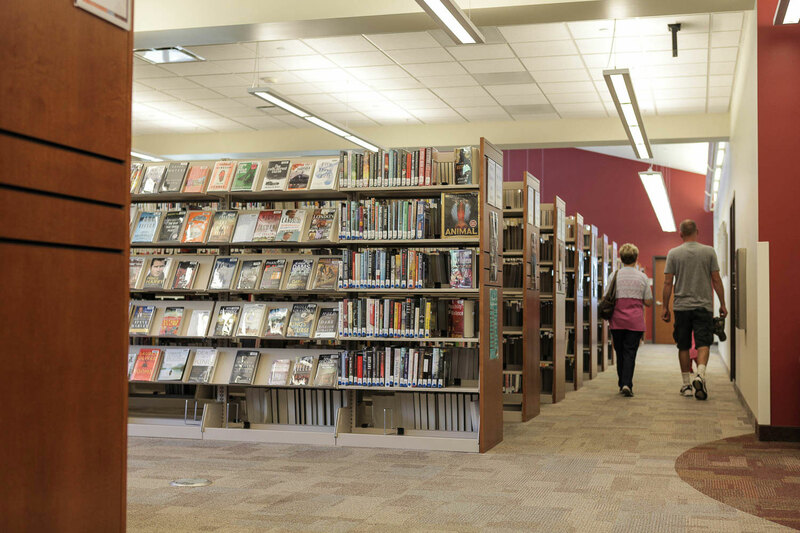 We assisted them by designing cantilever shelving systems throughout the library that allows staff to reconfigure and change book displays whenever needed—many of them at heights that young readers could access. Cantilever shelving has a very appealing, modern look—and coupled with its durability, it’s a great choice for academic, corporate, public, and legal library storage. 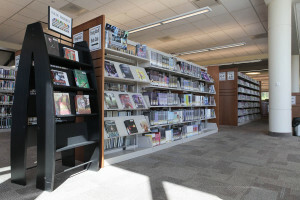 Cantilever metal shelving storage offers a comprehensive range of options and accessories to meet your specific needs and accommodate a wide assortment of media formats, books, articles, newspapers, and more. Though cantilever is mainly used for library purposes, it also has a place in industrial warehouses, museums, law enforcement agencies, offices, and retail stores. With the Modular EZ Rail® Element, you can transform this shelving system into a hold for industry standard plastic bins, pegboard, slat-rail, and slat-wall accessories. 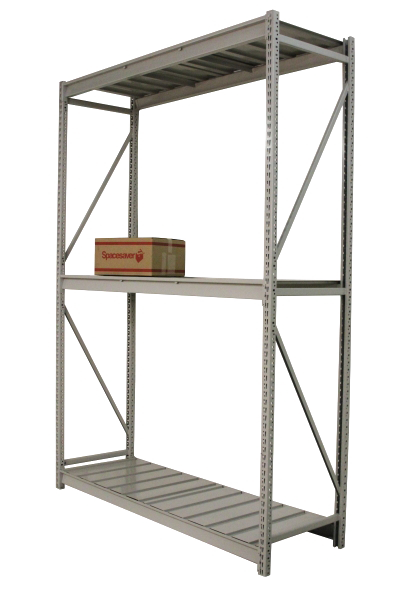 Rugged and versatile, Spacesaver’s RaptorRAC® wide span metal shelving storage system provides a platform for storing a variety of bulky and heavy items. It comes in a wide range of standard and configured sizes making it possible to build a custom shelving system for your needs. 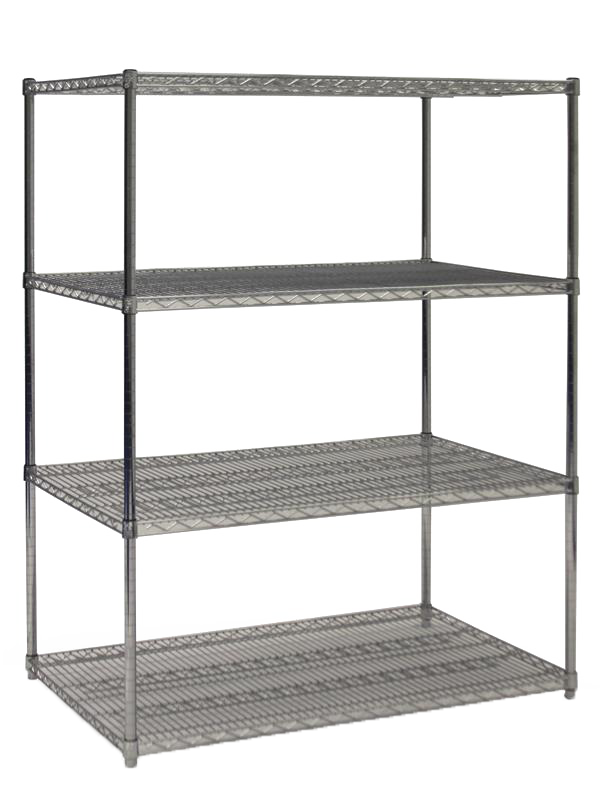 Wire metal shelving storage is ideal for sterile environments. The shelving units are easy to assemble, with no tools required. Finishes are available in Chrome Plus (SH) – ideal for high visibility and dry storage areas or Duro-Seal (PW) for high humidity storage applications such as walk-in coolers and freezers. If you’re working in an environment where needs change often, modular shelving can assist with reconfiguring your storage on the fly. FrameWRX® modular shelving system is comprised of a basis metal frame, a unique rail system, and a host of components such as bins and shelving that hang on a horizontal rail. FrameWRX®, also called bin shelving, was designed to maximize the number of standard-sized plastic bins that can hang on the rail, which can be adjusted by hand to accommodate horizontal or sloped storage. The rail is called the EZ Rail, which attaches to the structural frame and gives the FrameWRX® Storage System complete flexibility and configurability. 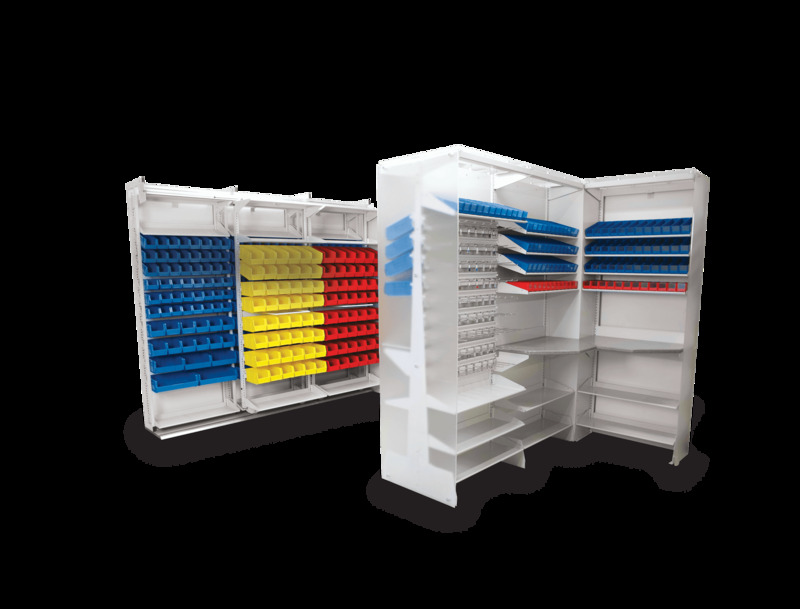 FrameWRX® is also available in a high-density version, where the system compresses two rows of storage into a deeper space, saving an aisle while allowing visibility. The Pharmacy Director of Utah State Hospital was excited to move into his new pharmacy—but his existing shelving wasn’t able to make the move. His new shelving had to follow the same requirements—gravity-fed shelving as well as the ability to load a prescription bottles in the front and the back of the system. Using a FrameWRX HD bin shelving storage system, Spacesaver Intermountain was able to design sloped shelves. Customized dividers provided flexibility in bottle size as well as accommodation for the Director’s need to feed bottles into the back. The system not only maximized storage, it also allowed the staff to save time and avoid errors. Want to maximize your metal shelving and increase storage space?